From a young age, we are taught that brushing and flossing are essential to the prevention of cavities and tooth decay. But sometimes these measures are not enough, especially when it comes to those hard-to-reach areas in the back of the mouth. To protect your or your child’s teeth from decay, Dr. Robert Milner may recommend dental sealants. Dental sealants are a simple and effective way to prevent tooth decay, as they keep plaque and food from adhering to the chewing surfaces of the molars and premolars. Dental sealants are often used on children and teens, but adults can also benefit from sealants. Dental sealants are a thin plastic coating that is applied to the grooves on the surface of the teeth. They are typically applied on the back teeth, where decay occurs most often. The sealants keep germs, acids and food particles from getting stuck in the grooves, thus preventing cavities and decay. The risk of developing tooth decay begins at a very young age, which is why dental sealants are typically used on children and teenagers. However, adults without decay or fillings can also benefit from sealants. Sealants can be applied in one quick and painless visit to our Mission Viejo dental office. Before applying the sealants, we will thoroughly clean the tooth. We will then apply a special gel to the surface of the tooth, which will help the sealant bond to the tooth surface. The sealant will then be painted onto the tooth, where it bonds directly with the tooth and hardens. Once the sealant dries (which typically only takes a few minutes), your tooth is ready for use. The goal of dental sealants is to prevent tooth decay before damage even starts. By doing so, dental sealants may help you avoid more serious (and costly) dental procedures in the future. Additionally, dental sealants protect the teeth without compromising the appearance of your smile. Dental sealants consist of a clear substance, which seamlessly blends in with the color of your natural teeth. With proper oral hygiene and regular dental checkups, dental sealants can last for many years. However, sealants can weaken over time due to the natural wear and tear of teeth. During your routine checkups, we will examine the condition of your sealants and reapply them when necessary. 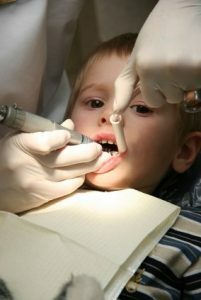 At the dental practice of Dr. Milner, we take your and your children’s oral health seriously. 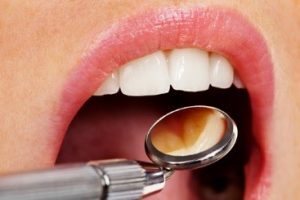 We are proud to offer quality dental care services to help prevent dental health issues such as cavities and decay from forming. To learn more about dental sealants or the other general dentistry treatments we offer, schedule an appointment today. Please call our Mission Viejo office at 949-859-8899.